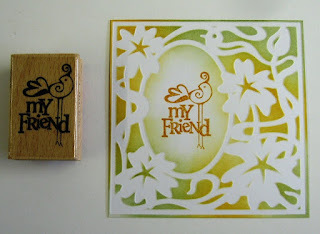 I just wanted to share a few ideas with the amazing stamp set we have got from Hampton Art. They are part of the Studio G range which is their budget selection but there is nothing budget about the quality of these wood mounted rubber stamps. They are available in a set of 16 stamps, all of which are very usable and “on trend” and you get them for a fantastic price of just £16.00. That’s only £1.00 per stamp. So check out the web site at http://www.stamp-pad.co.uk/ in our offer of the week to purchase your set. Don’t hang about though because they won’t be available again, once we sell out. 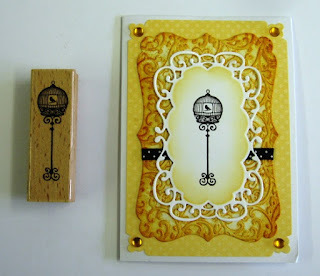 This card was made using a Marianne die cut panel, a nestabilities label, embossed with a folder, some BoBunny double dot paper and Wild Honey distress ink. I just love this little bird cage. It’s fab! 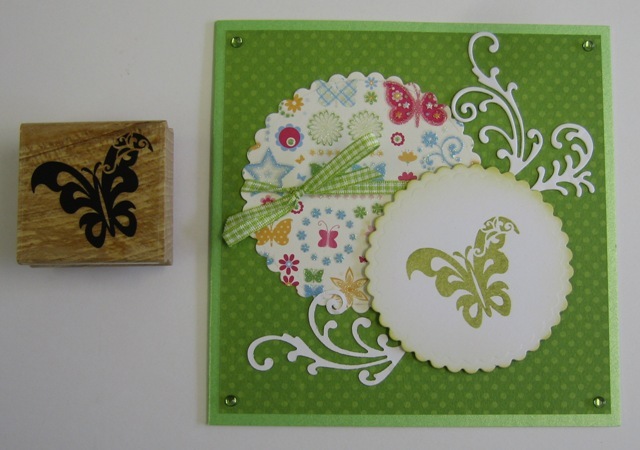 And here’s another idea using this lovely butterfly stamp. Here I’ve used Nestie scalloped circles, Blossoms and Butterflies paper from DCWV and some Marianne flourishes. Another gorgeous little bird cage stamp. 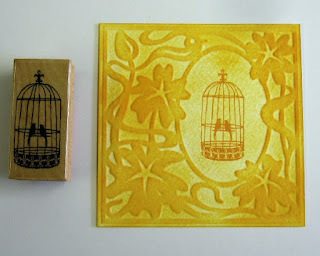 This time, I used a metal stencil through the Big Shot to create the embossed design and then inked with Wild Honey. The image is stamped using the same ink. 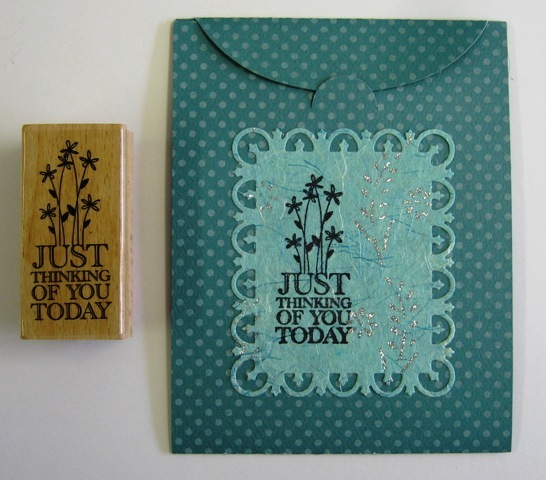 This design was done in a similar way but inked using wild honey and bundled sage inks. The image was stamped in rusty hinge. And this one is stamped onto hand made paper which has been die cut with a nestie. Well, hope you like them. Hop on over to the web site and grab a set while you can. Have bought these stamps and they are such good quality. They give a fab image and are just great to use. Fantastic value!